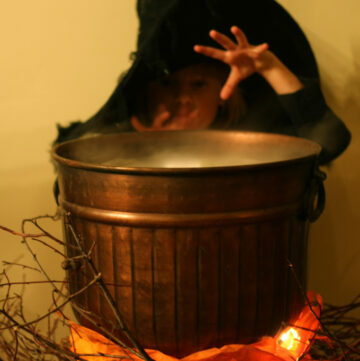 Today I have a quick last minute Halloween sewing project for you. 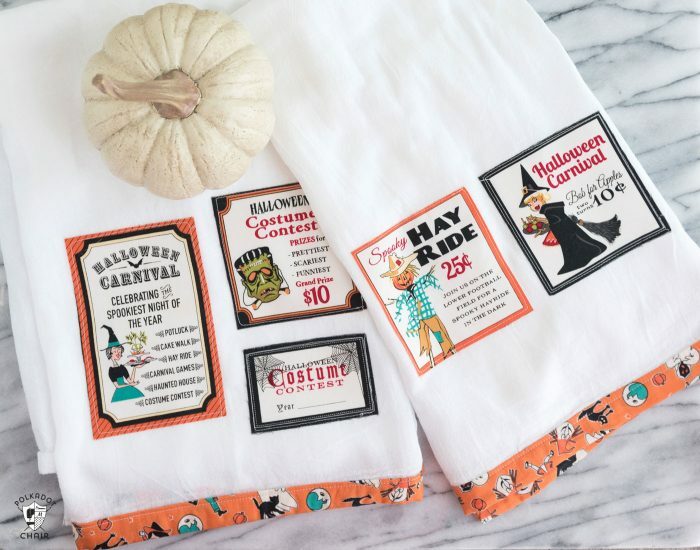 A tutorial for “scrap busting” Halloween Kitchen Towels. 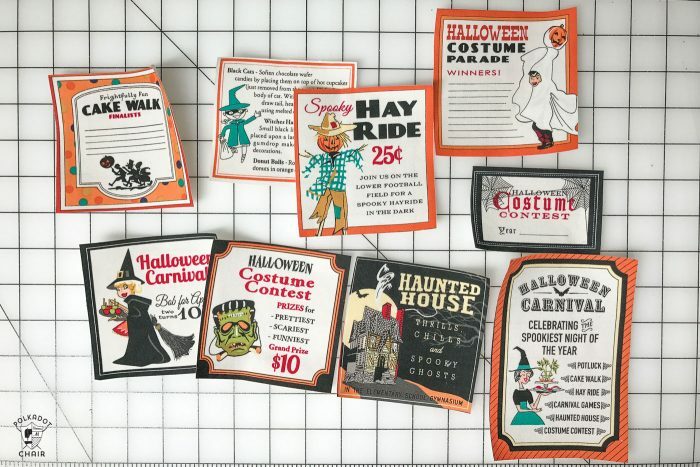 They are so fast to make that you still have time to stitch up a bunch before Halloween! 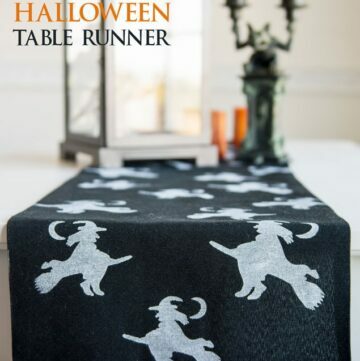 If you like this project, then you may also like this Simple Scrap Halloween Table Runner project. As a blogger, I always start thinking about Holidays months in advance. It’s not unusual for me to be sketching out Halloween projects in July. Which is why it is so hilarious that as I sit here on October 20th that I can not believe that Halloween is 10 days away! Hello, where did the time go? So funny story. 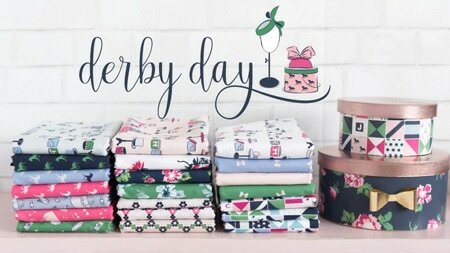 I knew that I’d be busy this October with prepping for Quilt Market (it’s next week) so I planned ahead and actually made several projects in August and September to post this month. One of these projects is today’s project. I stitched up the towels, and feeling pretty proud of myself, pressed them and sat them on the desk in my office. I had a small pile of projects that needed to be photographed and these went right on top of that pile. A few weeks ago I got the genius idea to clean my office/photo studio ( I should have known better than to try to clean up *wink*). I poured myself a large glass of Diet Coke and went to work purging and cleaning. Well, in my haste, I knocked over the glass of Diet Coke and it spilled all over the towels! (note to self, put the lid on my Tervis tumbler next time). I was so mad. As you know, Diet Coke can stain, plus the project was READY TO PHOTOGRAPH! I had even ironed them LOL! Well, long story short, I washed the towels and re-ironed them. They got photographed and I’m ready to share the project with you today. 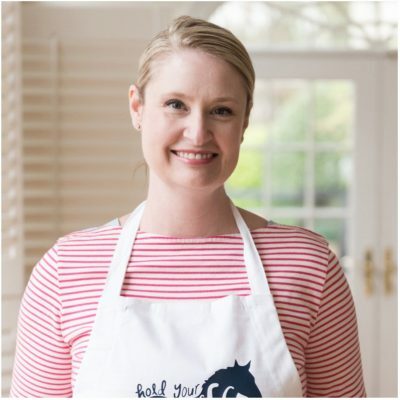 These towels are seriously SO easy to make. 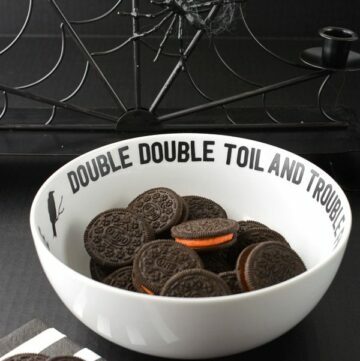 You can do it in less than an hour so you still have time to make them before Halloween! 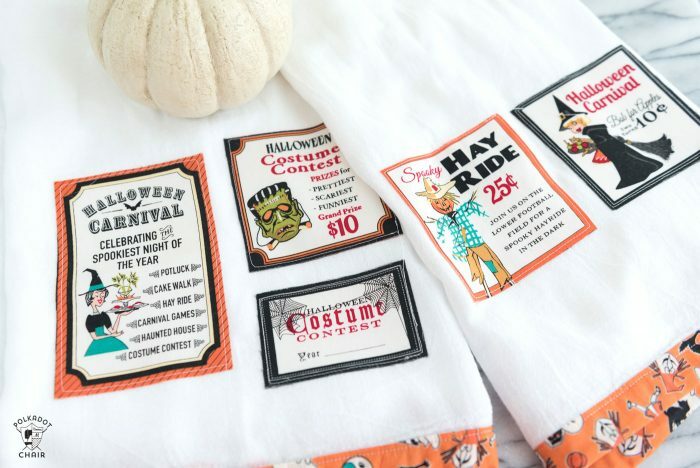 Plus they are a great way to use up some of your Halloween fabric scraps! 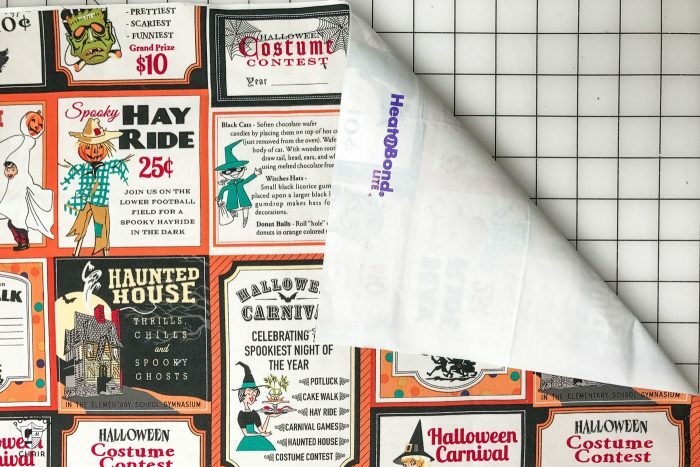 If you made anything fun for Halloween (like a quilt or a pillow) don’t throw out your scraps, upcycle them into this cute project. 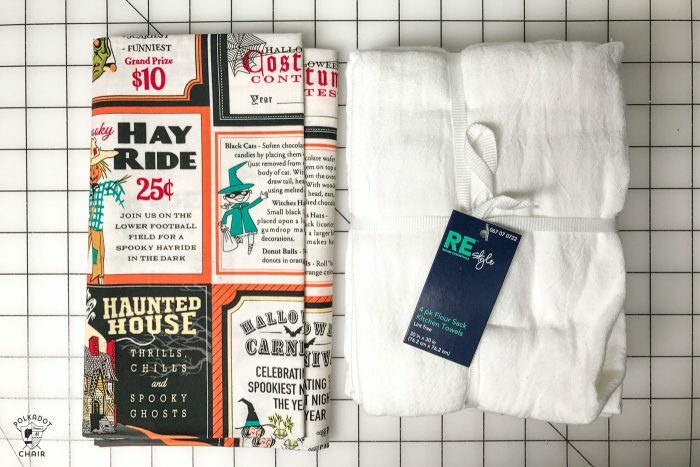 The fabric I used on today’s project is “Trick or Treat” By Carta Bella for Riley Blake Designs /Penny Rose Fabrics. The print with all of the labels was perfect for the project. 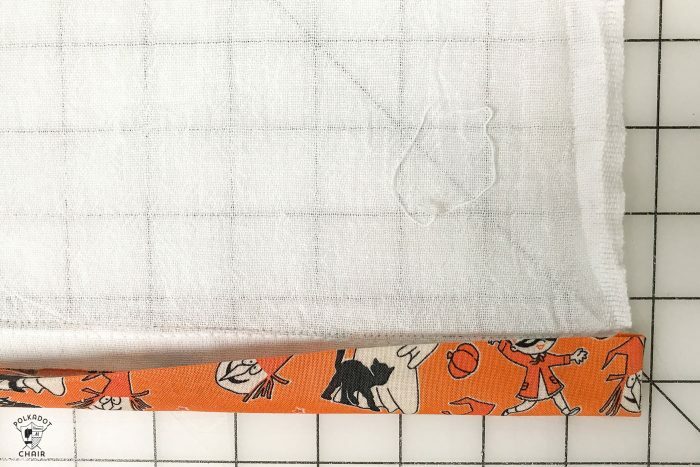 If you have a different fabric that you are working with, just cut out one of the “images” from the fabric in a square or rectangle shape. 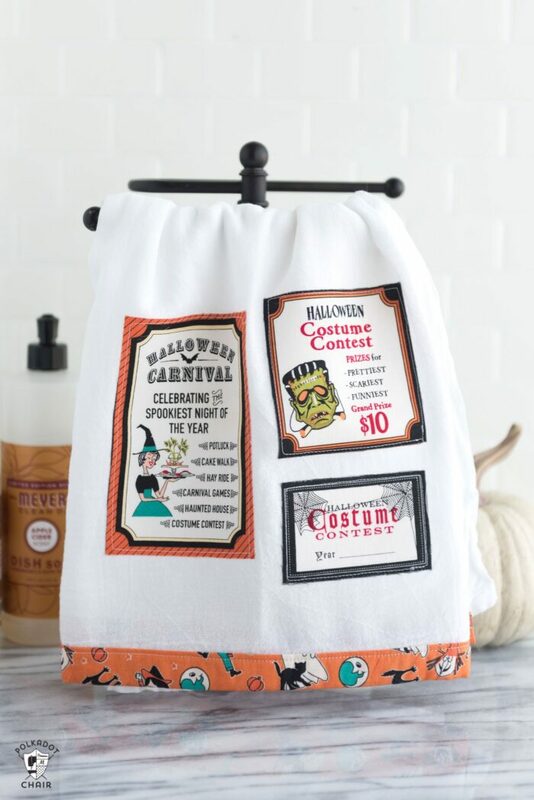 –Halloween Fabric – Trick or Treat by Carta Bella – buy it at your local quilt shop or online HERE. 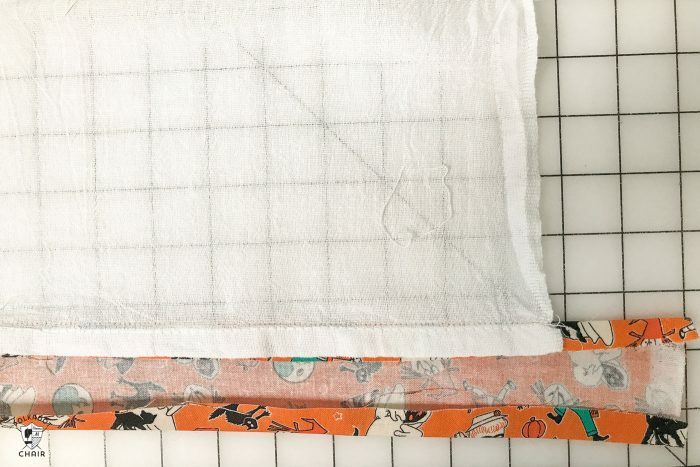 You’ll need scraps for the images and 1/4 yard of fabric for the border. 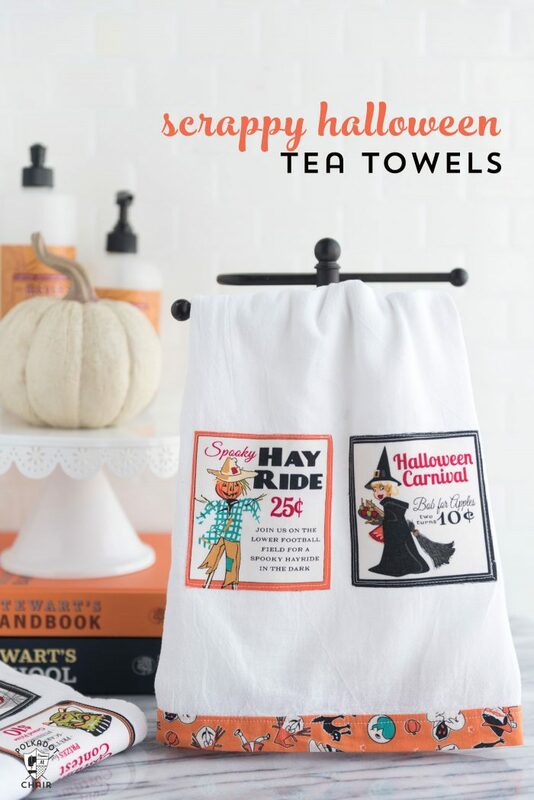 Wash and dry your tea towels. They will change shape quite a bit when washed and it’s better to work with them washed since this is a project that will most likely be washed (hello, it’s a towel! *wink*). 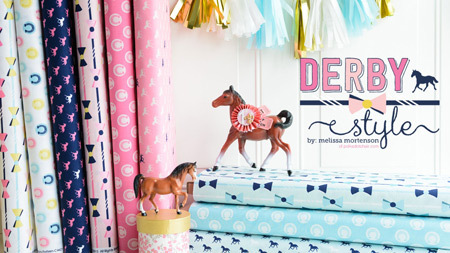 Decide what parts of your fabric that you’d like to make your cutouts from. Draw squares or rectangles on the fabric and cut out. Also cut out pieces of Heat N Bond lite to the same size and shape, then iron onto the wrong side of your fabric. In my case, I knew I wanted to use several labels from the fabric print so I applied Heat N Bond to the entire piece of fabric. I then cut out the labels that I wanted to use. Remove the paper from the back of the labels and iron onto your fabric in the desired location. Stitch around the outside of the label. 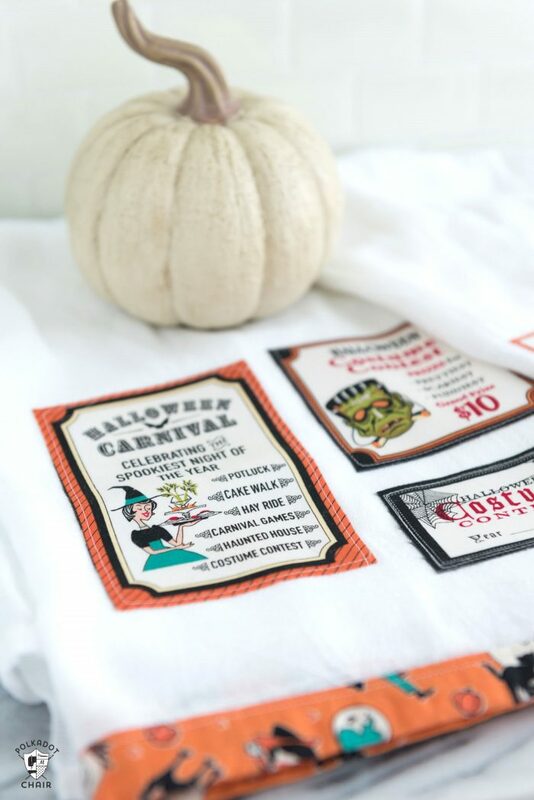 Cut a piece of fabric that is 3″ wide by the length of your towel plus 4″. 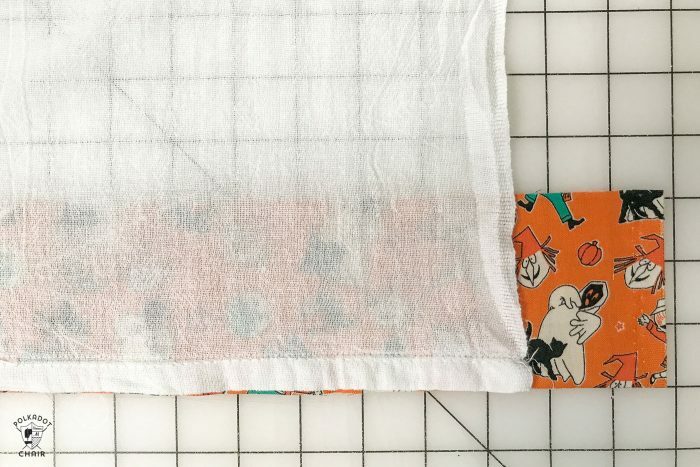 Stitch the piece of fabric to the bottom of your towel with a 1/2″ seam allowance. The right side of the fabric will face the right side of the towel and 2″ of fabric will hang over the edges. 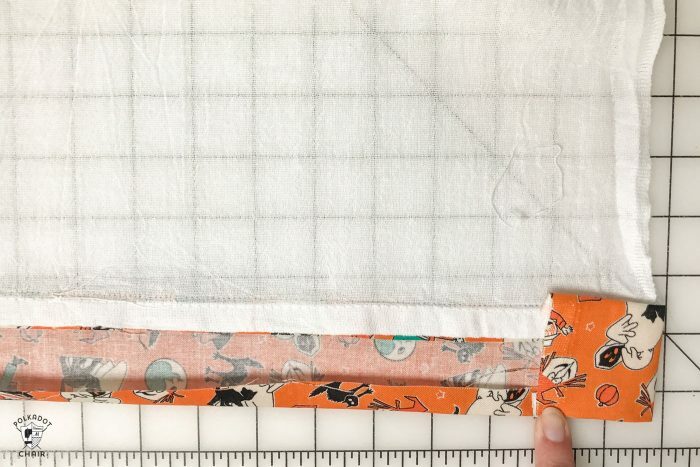 Flip the fabric down and press the seam allowance towards the fabric. Turn under the unsewn edge of the fabric 1/2″ and press in place. Fold in the end of the fabric so that it’s flush with the edge of the towel. 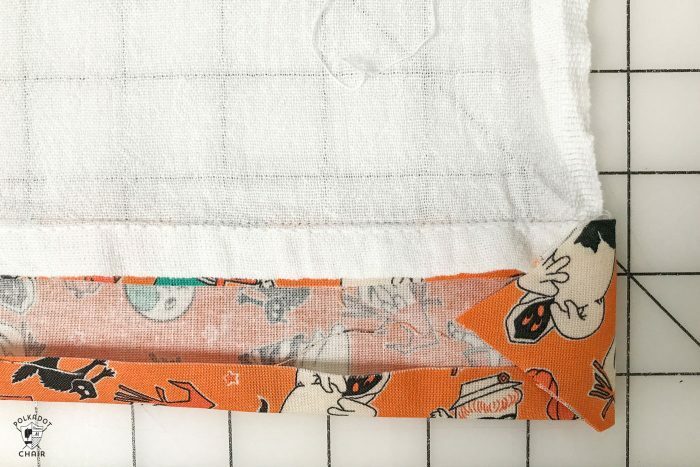 Trim off the excess fabric at the corners. Fold the fabric up and press in place. The fold of the fabric will be just above the first stitching line. Top stitch the band in place. 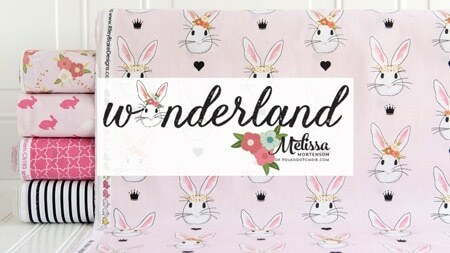 This project would be equally as cute with Christmas or Easter Fabric! I think I’ll have to make another set in December! 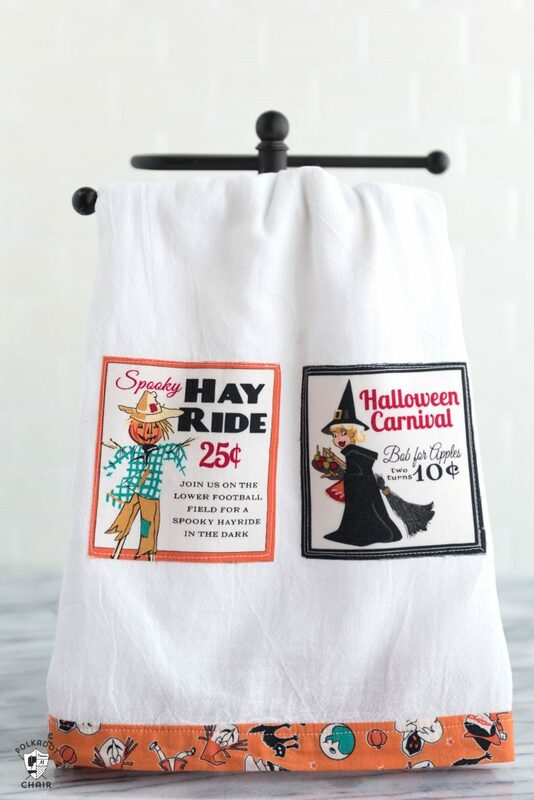 These towels are so cute! I just happen to have a few towels all washed up and ready to go!! This is so cute, thank you!! I can’t wait for the Christmas ones. These are awesome! Love the look of the patches. 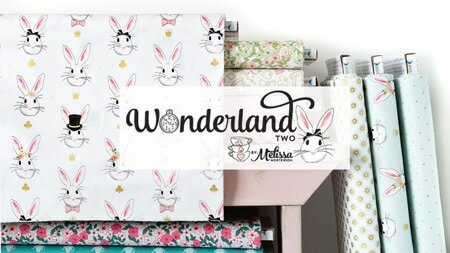 Would be fun to look for similar printed fabrics. Photo tutorial is very appreciated! Pinned for next year. These are really cute! 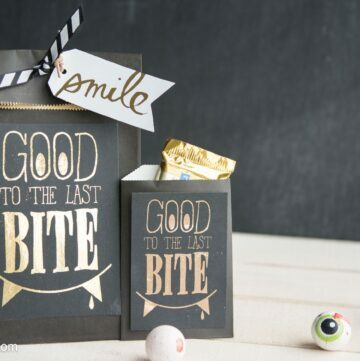 Great way to use up my scraps and to have a few hostess gifts ready to give.